You will get two finely aged (8-12 years) Napa Valley Cabernets. Two prestigious wineries are featured every month, making this a rare and exquisite wine gift. This comes with their Love It Guarantee – They guarantee the utmost satisfaction of you and your gift recipients. As recommended by the Robb Report, this exquisite club level offers an experience not found anywhere else. Each month features prestigious Napa Valley Cabernets aged 8-12 years in stringent temperature-controlled conditions and ready to drink now. Uncork the rewards of finely aged Cabernet along with an upclose look at some of Napa's most iconic wineries! 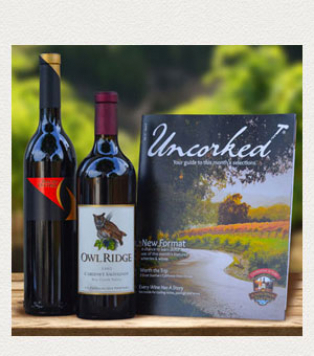 Each month features two different finely aged Napa Valley Cabernets accompanied by Uncorked, their beautiful guide to the winery with background on the wines along with Tasting Notes from “then” and “now”. Uncorked also includes insight to California's wine scene, wine tips and more. 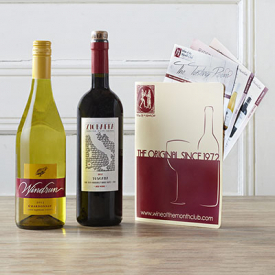 Memberships also include a Personal Wine Consultant at your service and discounts when you reorder your favorites. The price varies each month depending on the wines we are featuring. 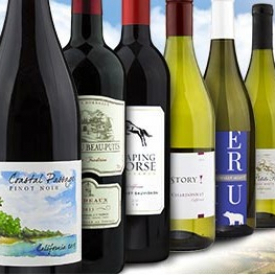 Two bottle wine club shipments average $231 (plus shipping and handling). Each month you will receive two vintages of wine. 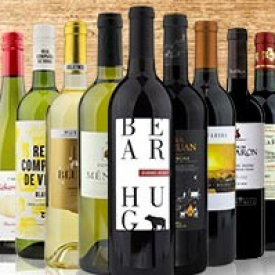 The standard shipment includes a red wine and a white wine. Or choose red wine or white wine only.